. يقدم Kings Cross Backpackers خدمات لا غبار عليها وكل أشكال اللياقة وحسن الضيافة اللازمة لإسعاد ضيوفه. يقدم العقار واي فاي مجاني في جميع الغرف, تخزين الأمتعة, واي فاي في المناطق العامة, التوصيل من وإلى المطار, مرافق للشواء لضمان الراحة القصوى لضيوفه. بالإضافة لهذا، تتضمن كل غرف الضيوف مجموعة واسعة من وسائل الراحة . بعض الغرف توفر حتى سجاد, رف للملابس, بياضات, خزنة, مرآة لإرضاء أكثر الضيوف تطلبًا. يقدم الفندق مجموعة واسعة من وسائل الراحة المتنوعة، كمثل: مسار جولف - ضمن 3 كم, بلياردو, غرفة ألعاب. إن Kings Cross Backpackers هو خيار ذكي بالنسبة للمسافرين، فهو يوفر إقامة هادئة ومناسبة للاسترخاء. Great spot and I would stay again - the office staff wanted me to pay in the morning though - Even though I’d paid through the booking agency ! Bit annoying!! I enjoyed my stay here, it was a good mix of party and socialising but not being woken every night at 3am! There’s quite a few long term people staying which make the rooms quite cramped and makes it quieter in the week but there’s still lots of events going on. Everyone there was friendly. The rooms only have fans so got very hot but the showers were good and the place is fairly clean. All in all a good value stay with the chance to meet nice people. I would like to say thank you to all the staff of Kings Cross Backpackers, they were really very nice and helpful. The security of the place was okay especially for a solo female Asian traveller like me. The only thing was not really good for me was the toilet. There was a gap in each toilet door so it was very awkward to use it especially when you are taking your shower. Not to mention that it was a COED toilet which means boys and girls can access it anytime they want. Hopefully, they will have an exclusive room for females someday. Clean Room, Shower and toilet - Hight speed WiFI - Near by Subway, bars and restaurants. 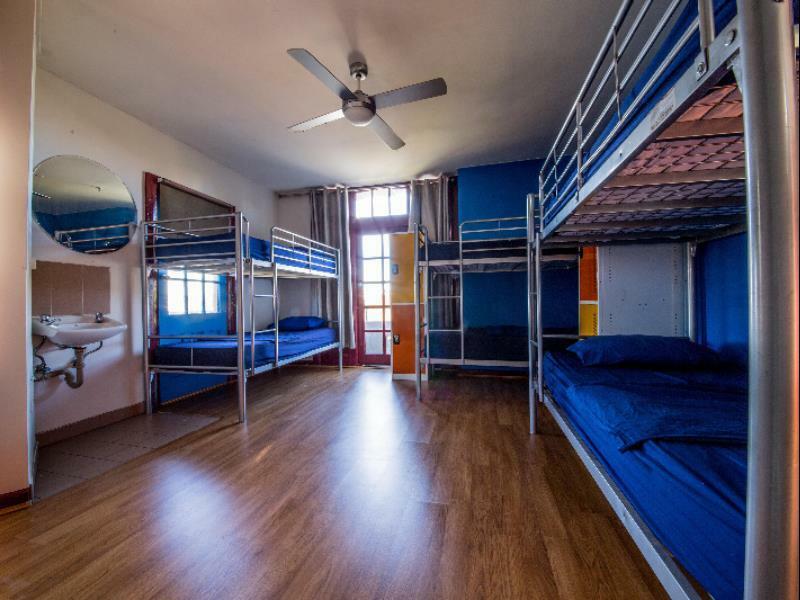 This hostel is a good place to socialize : Every evening the staff arrange for the guests special diner and party with cheap diner & drinks and activities in the bars and restaurants near by the hostel. You can easily go to different areas in the city thanks to the subway station very close to the hostel. Wifi and breakfast. Free airport transfer. Friendly and helpful service. There were quite a few that seemed to have stayed there for a while already.A strong family atmosphere. It was also safe despite being in kings cross, as there were passwords and keys to every door to your bed. I would definitely go there again if im visiting sydney. Auberge située à 10 minutes à pieds de la City, dans le quartier animé de Kings Cross, mais à l'écart des rues bruyantes. Les jeunes à l'accueil sont sympas et serviables. L'auberge est dans un bon état. Le petit déjeuner est gratuit. Pour moi le seul point négatif, c'est la petite taille des chambres !!! 저렴한 가격에 걸맞는 호스텔이었어요. 진짜 기어다니는 바퀴벌레를 봤어요;;계단밖에 없고, 아침은 빵,쨈,버터, 땅콩버터, 후레이크, 우유가 나왔구요. 옥상에는 가보지 못했어요. 그러나 사람들이 매우 친근하고, 또 친절했어요. 또한 와이파이가 공짜!!! 게다가 잘 터지는 편이었구요. 숙소에 갈때마다 번화가를 지나가게 되는데 주말에는 클럽가는 사람들이 정말 많더군요. 하이드 파크나 보타닉파크로 가기도 편했는데...뒤늦게 알아서 샛길로 못가본게 좀 아쉬워요.